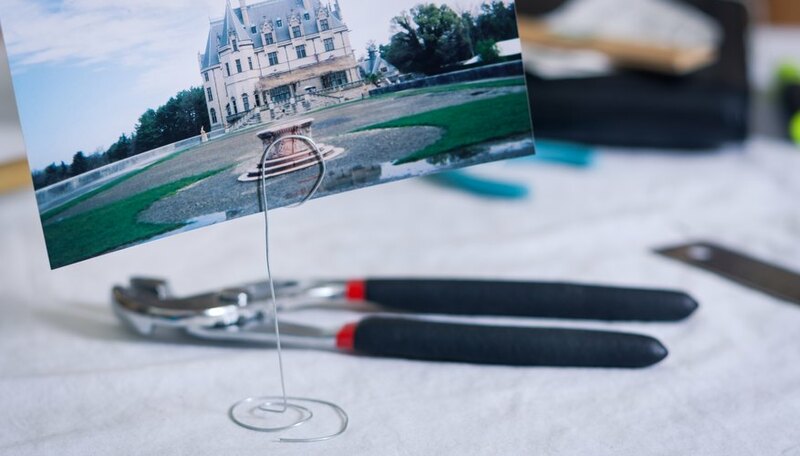 Wire picture holders offer a crafty alternative to bulky frames. These stands make for a craft project simple enough to share with small kids, and they make creative, inexpensive gifts. They can also be used for holding greeting cards, memos and table name cards. 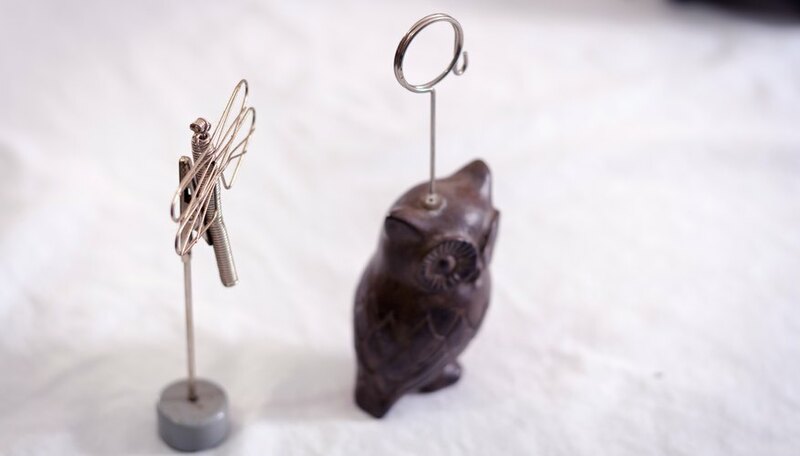 While you can deck your wire photo holders out with beads, jewels and other decorative accents, only a few supplies are absolutely necessary. Determine how tall you would like your photo holder, add 12 inches to your measurement and then cut the length of wire from the roll. The extra measurement of wire will be necessary for forming the top photo clip and the base of the holder. 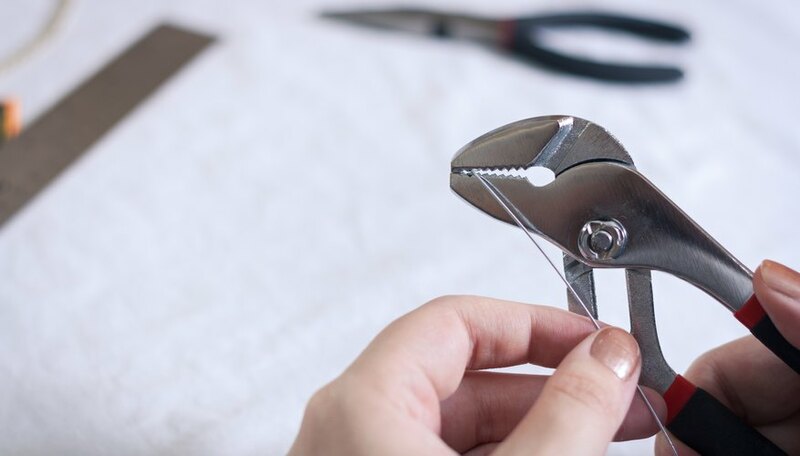 Use the round-nose pliers to bend the wire at a 90-degree angle, approximately 6 inches from one end. Do the same on the opposite end of the wire, making a second 90-degree bend approximately 6 inches from that end. Coil or loop one of the bent ends of the wire, bending the new shape perpendicular to the height to create the holder's flat base. Create a spiral shape or get creative and bend it into a star, heart or square. To ensure the holder remains stable, aim for a base with a diameter of at least 1 inch. Coil the wire at the opposite end, starting at the 90-degree bend. While any shape will work, the key is to loop it around at least twice -- in the fashion of a paperclip -- so there's a place to insert and secure a photo. Level the photo-holder base by placing it upright on a table and balancing it appropriately. It may also be helpful to insert a postcard or photo to test the stability and ensure your display won't be overly top heavy. Use household items to shape the wire and create proportional dimensions. For example, a pencil, glue stick tube or marker makes a good guide for circular shapes, and a book, block or ruler may be helpful in creating 90-degree bends. Get creative with the additional decorative accents. Thread on beads, charms or buttons as you're bending the shapes, for example, or make multiple holders using different colors of wire. 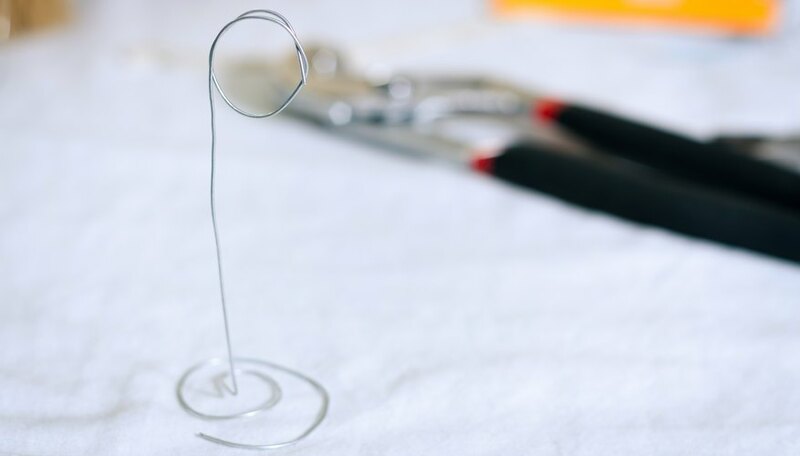 In lieu of bending one end of the wire into a base shape, you can also wrap the wire around a heavy rock or keep it straight and insert the holder into a bottle, spool or flower vase. 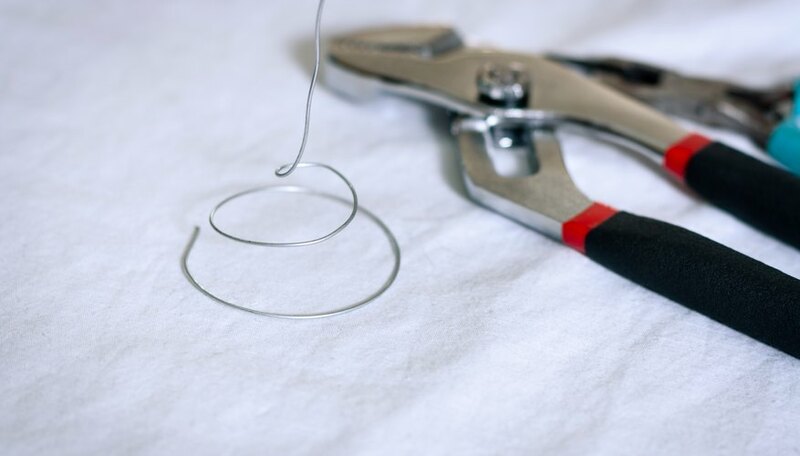 The raw ends of wire can damage furniture and photos, so be sure to curl or bend the ends slightly inward so they are not exposed.